Michael Hugh Griffin was born on February 8, 1950 in Portsmouth, Virginia, son of Norma Lassiter (Murphy) and Darnell Griffin. He spent his early years as a resident of Roselle, New Jersey. Michael attended Abraham Clark High School and was an “All American Athlete.” He graduated in the Class of 1968 with baseball scholarship he attended Kansas State University where he earned a Bachelor of Arts degree. As a child, he was a member of Heard A.M.E. Church located in Roselle, New Jersey. 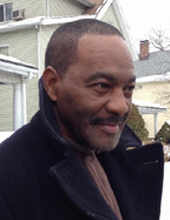 On Monday, September 24, 2018, Michael H. Griffin passed away in Bridgewater, New Jersey at the age of 68. He was predeceased by his mother, Norma Lassiter (Murphy) who died on April 15, 2013. Michael H. Griffin leaves to cherish his memory, his father, Darnell Griffin of Portsmouth, Virginia; three daughters: Amirah El-Amin of Ahwatukee, Arizona, Tanya Jasey and husband, Brian of Newark, New Jersey and Shayna Dorsey and husband, Major Hamilton; three sisters: Sheila Sessoms of Portsmouth Virginia, Dawn J. Dennis and brother-in-law, Carl of Newark, New Jersey, Kim Griffin of Elizabeth, New Jersey and Alexis Guirand and husband, Philippe of Orange, New Jersey; three grandchildren: Hasniah El-Amin “Shortcake,” Kai Jasey and Troy Jasey all from Newark, New Jersey, Cheyne, Xavier, Ciara, and Colin; great-grandson, Cheyne Jr. of Rio Rancho, New Mexico; Dear Uncle Les Griffin of Fayetteville, North Carolina; Dear Aunt Vivian and cousin, Steven Griffin of Brooklyn, New York; favorite Cousin/Brother, Moses Stradford and wife, MaryAnn; dear cousins: Zelda Griffin of Portsmouth, Virginia and Adrian Griffin of Portsmouth; extended family, Simmons family of Roselle, New Jersey; and a whole host of beloved aunts, uncles, cousins, nieces, nephews and friends. To send flowers or a remembrance gift to the family of Michael Hugh Griffin, please visit our Tribute Store. "Email Address" would like to share the life celebration of Michael Hugh Griffin. Click on the "link" to go to share a favorite memory or leave a condolence message for the family.